Challenging the viewer to participate in an experiential encounter with the unseen world, Karyn Taylor’s work explores themes that act as an invitation to engage with concepts that bridge a trajectory between the exactness of geometric forms and the fleshy materialism of the body. No electricity, no tubes, no wires. Taylor’s Perspex forms manipulate the refractive qualities of matter, allowing light to reverberate. A kind of internal alchemy, as if the works themselves have been lit from within. 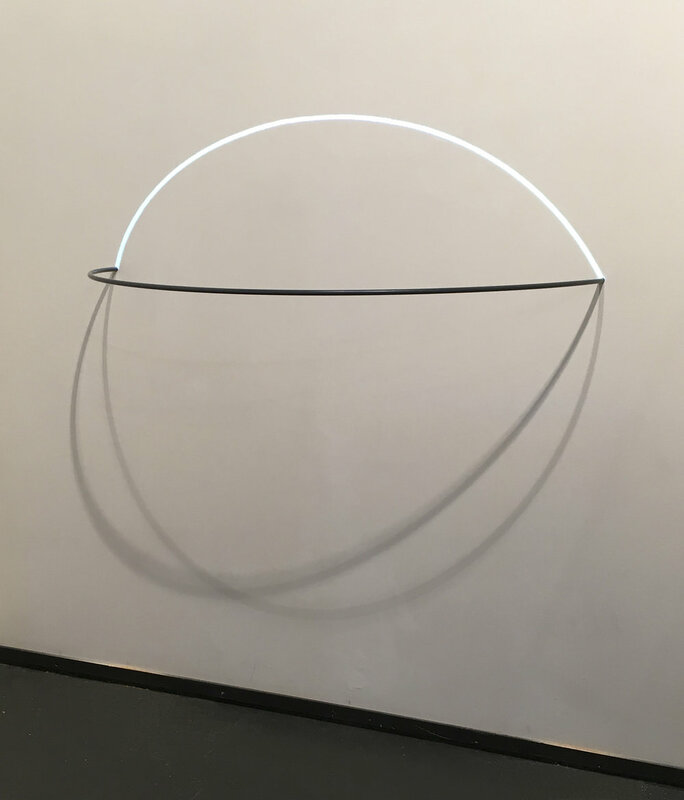 Exhibiting at Anna Pappas Gallery this October, Implicate Order is an exhibition of works that continues and expands Taylor’s commitment to the state of matter; considering how light, materials and particles behave in aesthetic terms. On the walls of the gallery, such works see light and colour operating in a relationship whereby lines crossing the surfaces of the works glow, as if they have been lit from within. In 2017, Taylor has exhibited her refined material structures at Personal Structures, running concurrently to the Venice Biennale in Italy, Art Athena in Athens and had a solo exhibition at Sanderson Contemporary in Auckland. Implicate Order will be Taylor’s second solo exhibition at Anna Pappas Gallery.